ImageOnMap allows you to load a picture from the Internet to a Minecraft map. Load an image from a URL onto a map. PNG, JPEG and GIF are supported. These images will be saved on your server and reloaded at restart. Big pictures will be cut automatically into several parts! For example a 1024x1024 picture will be cut in 16 maps. Your image will be centered. You can put your map in an item frame. Ensure that you have enough free slots in your inventory! ImageOnMap will cut your picture in severals parts (depending on the image size) and place them in your inventory. Type /tomap URL, where URL is a link to the picture you want to render (see the section below). Enjoy your picture! You can place it in an item frame to make a nice poster if you want. the link must be complete, do not forget that the chat limit is 240 characters. you can use an URL shortener like tinyURL. If you want a picture in one map, type resize after the link. /maptool delete [id]: delete a map ((where [id] is the id of a map). Limit-map-by-server => Limits the number of maps with a picture for all the server. Set to 0 for unlimited maps. 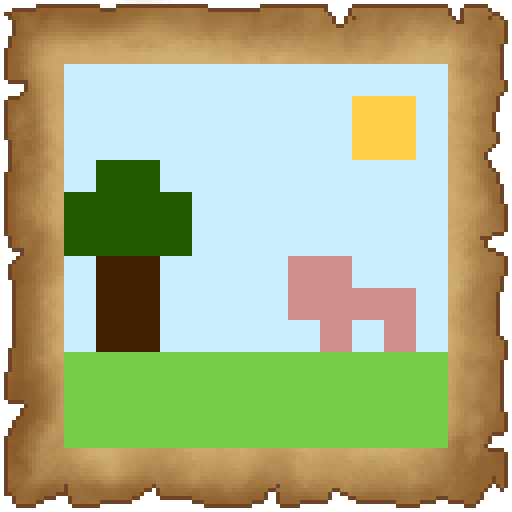 Limit-map-by-player => Limits the number of maps with a picture that a player can have. Set to 0 for unlimited maps. I've been using Imageonmap for almost a year and it's really great for adding details onto builds. It's one of my favorite plugins I've ever used and I really appreciate it. I was wondering if you guys ever plan on making a version that's compatible with Sponge or forge? Permission node not working plz help! Well this plugin hasn't been updated since 2016, so it probably wont work with that version. whenever i place the maps it does this https://imgur.com/a/oelNM any solution? Please fix the issue on 1.12+ Maps do not work, half of the map shows land, and half of it shows the image, please fix. Hi, I had recently downloaded the plugin, and I have a little problem. I try using the maps to make a board at my spawn. I have a plugin that keeps players from tampering with the item frames, but players can crouch and take the whole map. Is there an option to keep players from doing this? Broken on 1.12. Does not render image properly, big mising color parts on images. The plugin hasn't been updated since 2016. That's probably your problem. I like it so!!!! Many thanks to you!!! No texture pack required. Gray brick tile. Red brick tile.